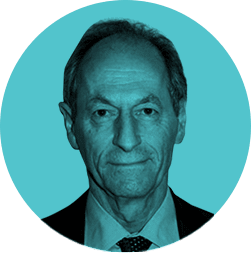 Institute of Health Equity - Michael Marmot: It’s amazing what you can accomplish if you do not care who gets the credit. My source for this quote was Bill Foege, who as well as being a luminary of global public health, was a member of the CSDH. According to the web, the author of the quote was President Harry Truman – who got quite a lot of credit. It came to mind when several people came up to me in Rio with the observation that the CSDH was being airbrushed out of the World Conference on Social Determinants of Health. Surely not. The CSDH is not in the draft Rio declaration, I was told. And the meeting was presented as if it were a direct follow on from the Ottawa charter of 1986 without the intervening work of the CSDH. Indeed, in the speeches in the opening ceremony, no one referred to the CSDH, and assurance from the Brazilians that I would speak in the opening session, to present the view from the CSDH was countermanded. It was after Margaret Chan finished reading her prepared speech, with its reference to the Ottawa charter, and was being interviewed, that she said: we are here because of the work of the Commission on Social Determinants of Health. Similarly, in the closing session, ADG, Marie-Paul Kierny, referred to the key role of the CSDH. I know that the CSDH led to this global meeting. As does everyone else who knows about the CSDH. Should I then care at this attempted airbrushing? Or simply remember Harry Truman? The interesting question is why? Why would anybody want to pretend that this conference on Social Determinants of Health was really the heir to the Ottawa Charter on Health Promotion and not a direct follow on to the CSDH? The word on the street was that there were objections to the Commission’s strong emphasis on inequities in power, money and resources. Trying to convince poor people to eat vegetables is one thing, acceptable and safe; attacking the inequity in power, money and resources is altogether less safe. Hence, portray this meeting as NOT an endorsement of the CSDH recommendations. This provides a clear explanation of why there was an attempt, ultimately unsuccessful, to remove all mention of the CSDH from the Rio declaration. Too strong for some political stomachs. This attempt also illustrates the difference between intellectual life and political. In intellectual life, to remove all reference to the source of an idea is simply unacceptable. For example, if I wrote a paper and didn’t acknowledge the source of the ideas, such behaviour would be, to put it gently, dishonourable. Apparently, when politics is at stake, normal canons of behaviour do not apply. Just because I was researching the quote and found what seemed a fairly definitive answer regarding the source, credit for the saying should go to Father Strickland, an English Jesuit, date around 1863.